You might not know this but three piece band, The Crash Mats are one of the most popular bands from Manchester (well, Oldham) right now with a country wide reputation for their million mile an hour ska punk gigs, their love of American wrestling and long shorts. 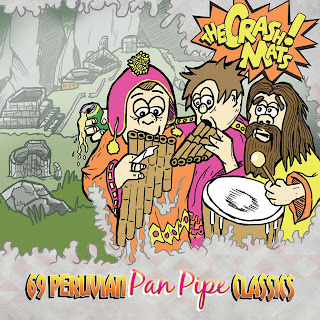 Control Of The Going's Ste Ackley steps in to our guest review slot and reviews their new album 69 Peruvian Pan Pipe Classics. 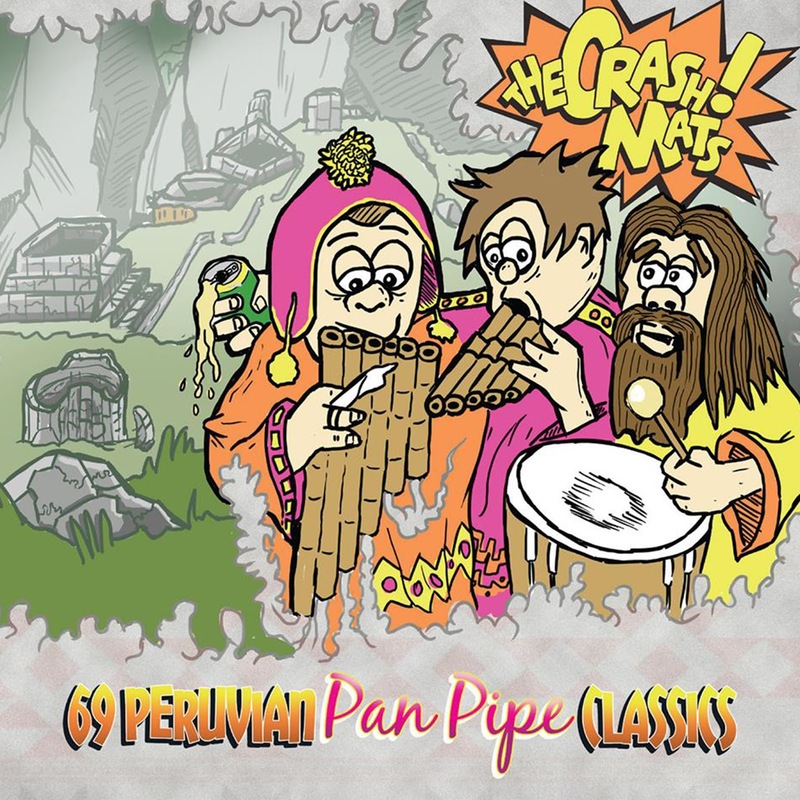 69 Peruvian Panpipe Classics, is their second long player and with 17 frantic tracks clocking in at just twenty-seven minutes it doesn’t pause for breath once. It's a highly entertaining twenty-seven miniutes but the thing with having songs such as Don’t Go Down Yorkshire Street On A Friday night (about the perils of a night out in Oldham), Don’t Tell Mum The Babysitter’s Dead (about not telling your mum that the baby sitter’s dead and being buried under the patio) and Let’s Go And Get Stoned (about, erm, getting stoned), is that The Crash Mats could be accused of being a bit of a comedy band and while they are a bit shouty, play very fast and the lyrics are daft at times. But with Watchmen Baz, Danny and Chris prove that they are far better than that and have created one of the greatest songs you’ll hear this year. With its choppy guitar and saxophone riff it puts me in mind of The Clash and there’s no higher praise I can give than that. 69 Peruvian Panpipe Classics is scheduled for release on September 15th via Horn And Hoof Records and doesn’t feature a single pan pipe. The Crash Mats are on Facebook and Twitter. Follow Even The Stars on Twitter at @eventhestarsuk and like our Facebook page for all the latest updates.